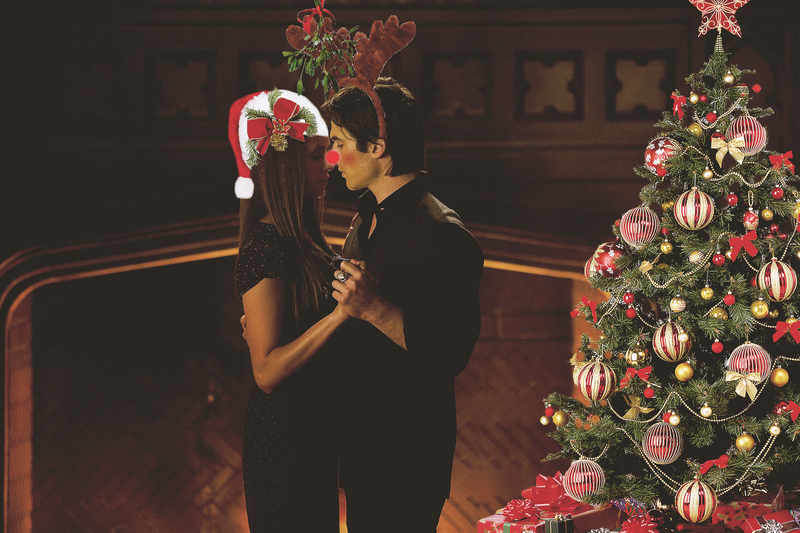 Delena Christmas. This is made سے طرف کی me please do not steal یا claim as your own credit me if آپ use on any other site.. HD Wallpaper and background images in the Damon Salvatore club tagged: damon salvatore the vampire diaries ian somerhalder delena elena gilbert season 4. 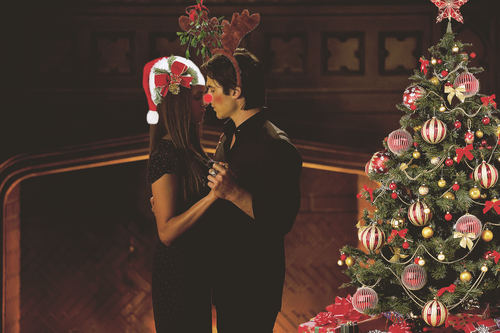 This Damon Salvatore photo contains گلدستے, سے corsage, میں posy, nosegay, بکی, کورساج, گلدستہ, and نوسیگی. There might also be ہے begonia, بیگونیا, bridesmaid کی, غیرت کے نام پر نوکرانی, لوکنی, نوکرانی کا اعزاز, گلاب, rosebush, and روسیبش.